NEW CANAAN — In a rare occurrence, the first selectman was asked to cast a tie-breaking vote at a Town Council meeting on May 16. First Selectman Kevin Moynihan voted to keep $65,000 in a bonding resolution allotted to demolish the Mead Park Brick Barn on Richmond Hill Road. He had previously said in meetings with local media that he wanted the building razed. The Mead Park Brick Barn, also known as Richmond Hill Garage, was built in 1901 and has been vacant since 1998, according to the New Canaan Building Evaluation and Use Committee report released last December. 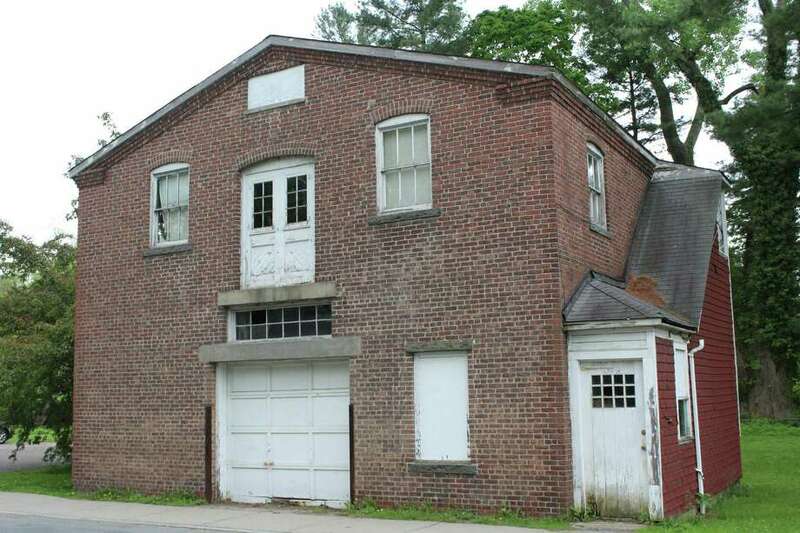 The New Canaan Preservation Alliance successfully had the garage registered on the state’s listing of historic places, though the report says the label “in no way prohibits” its demolition. “I’d be in favor of giving a reasonable amount of time (for preservationists to present a plan), but I think the building should be taken down,” Moynihan said upon voting. Town Council members were evenly split on the motion to remove the money item. Preservationists argued it would cost nothing to retain the building and that organizations, particularly New Canaan Baseball, had expressed an interest in repairing and using the brick barn. Rob Moore and Brian Rogers, New Canaan Baseball co-presidents, in a letter dated May 10 addressed to the Town Council members, expressed the organization’s interest in preserving the brick building. The baseball organization officials said they had explored preliminary estimates regarding the costs of repairing and upgrading the garage. They have looked at using the venue for equipment storage, monthly board meetings and for training and education. Town Council members, however, argued reparations would be costly and useless. Town Council Chairman John Engel, Paladino, Tom Butterworth, Cristina Ross, Richard Townsend and Sven Englund voted to remove $65,000 from the resolution. Mike Mauro, Christa Kenin, Liz Donovan, Jim Kucharczyk, Steve Karl and Penny Young voted to leave the money in. Preservationists could still have a time frame of 90 days to save the building after a demolition permit is filed by the town. Robin Beckett, who has previously advocated for the preservation of the brick barn, said New Canaan Baseball would continue to push to repair the building.